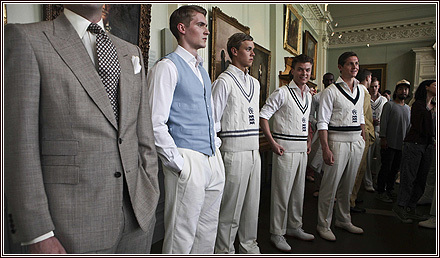 London Collections: Men came to fruition at Lord’s this week. 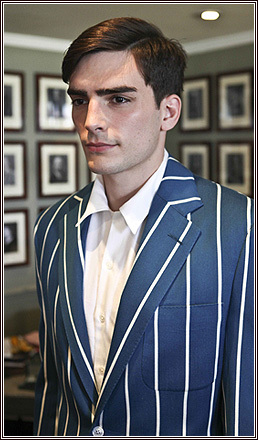 After hours, days, and months of planning and making, Savile Row demonstrated once again why it is the best destination in the world for having a suit made. 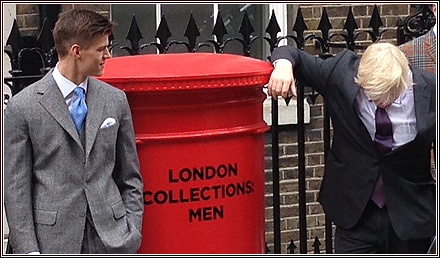 This sentiment is echoed whole heartedly by Savile Row. 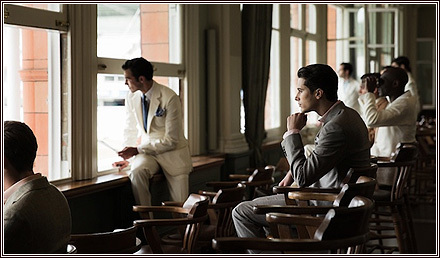 It too is a place of belonging and identity, and with this Lord’s was the perfect setting to host the Savile Row collection this summer. 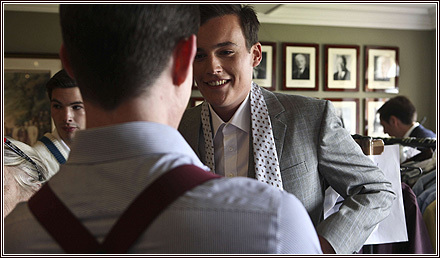 Bespoke is an extremely personal and time consuming activity – both for the tailor and the customer. A huge challenge for all the houses involved, it was to their credit that Monday 17th June was such a spectacle and success. 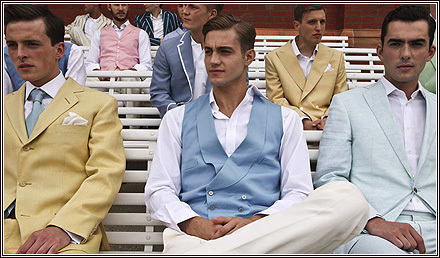 Sensational clothes were on show in what can be described as a ‘live’ portrait of models. 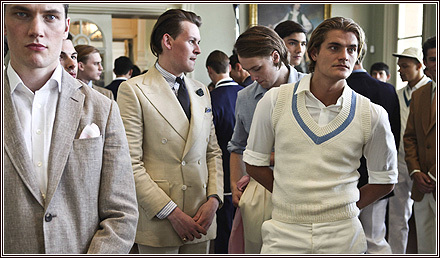 From summer grey suits in the Committee Room to wool whites and blue blazers on the Pavilion benches, the presentation was immaculate and meticulously executed. 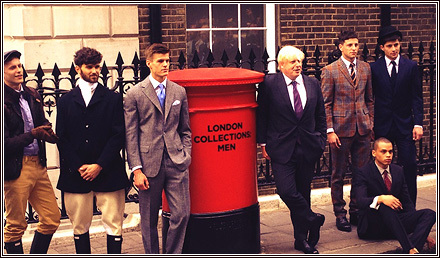 The following day saw the Mayor of London, Boris Johnson pay a visit to Savile Row to further support London Collections: Men. 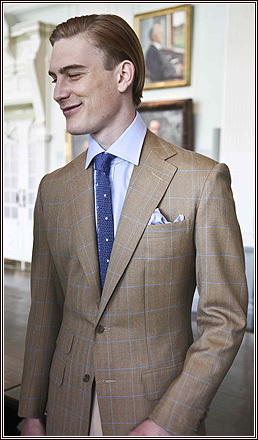 Not known for his sense of style, Mr. Johnson paid tribute to Savile Row for being the best place in the world to buy a suit. He went on to explain, “London is to the suit, as Parma is to the Parmesan cheese”. In true Boris Johnson fashion his opinions were met with giggles from the bank of reporters and photographers. An amusing comment, and lets hope the world’s press understood what his point was!